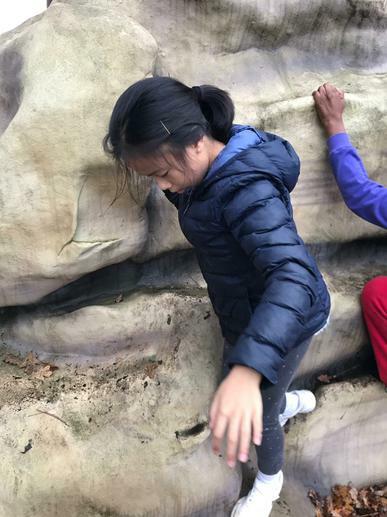 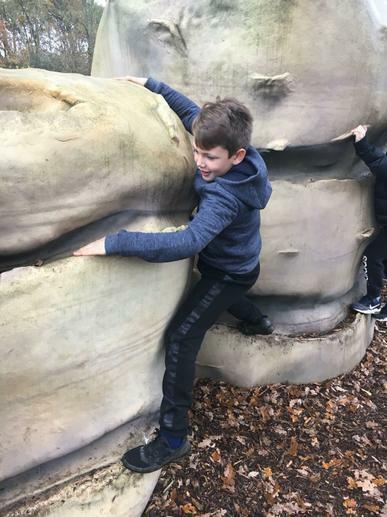 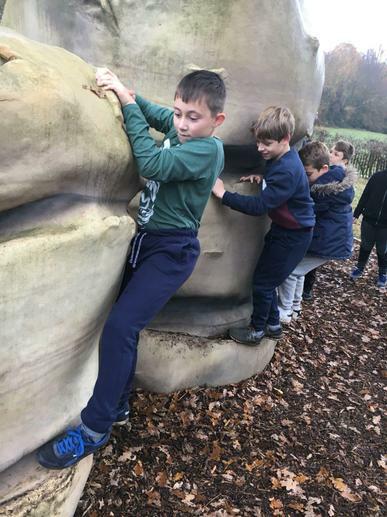 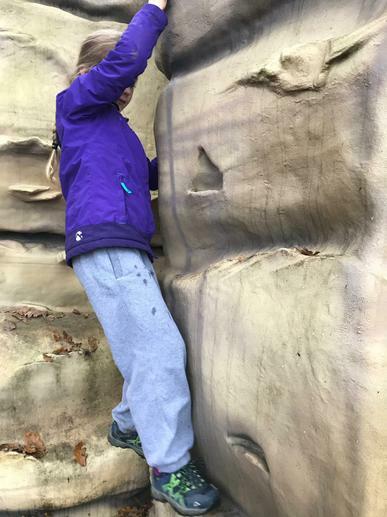 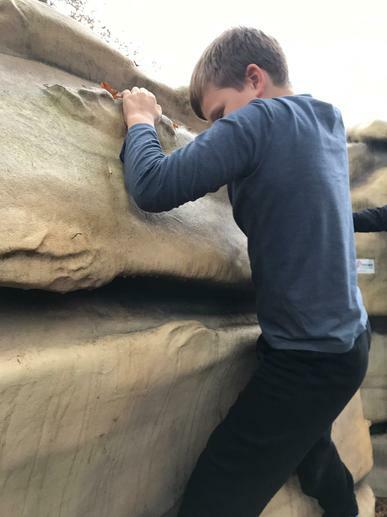 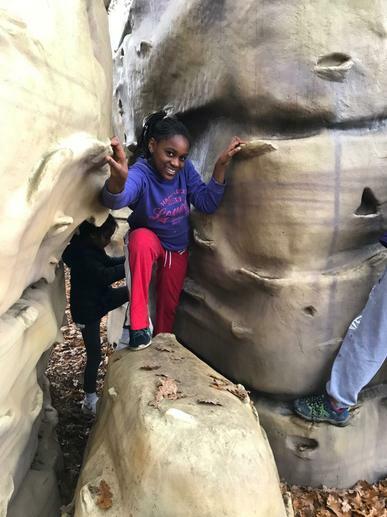 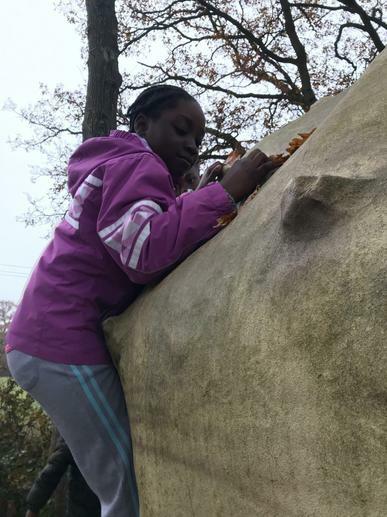 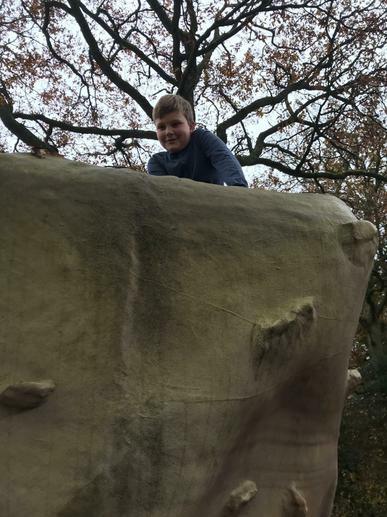 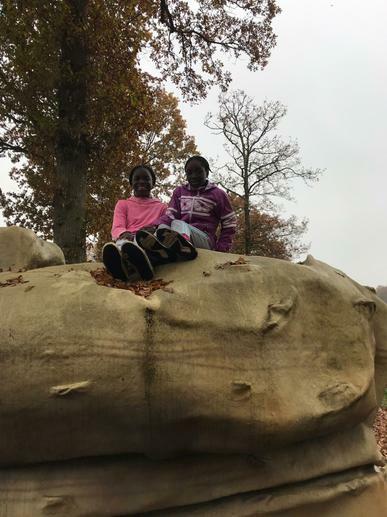 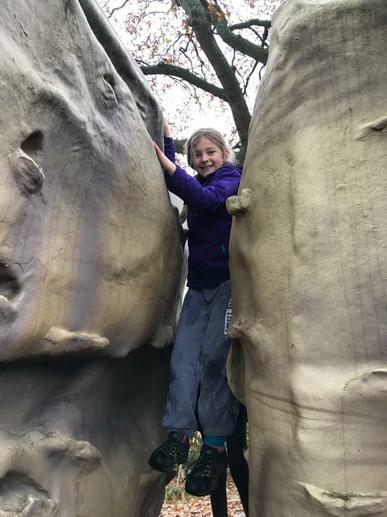 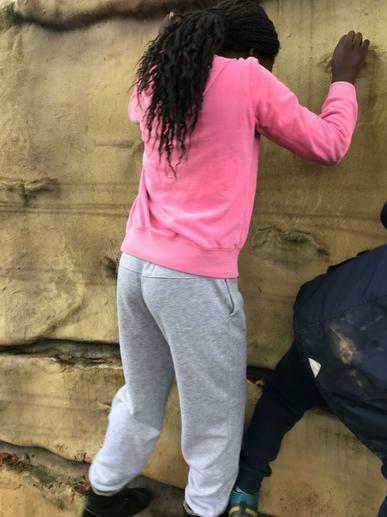 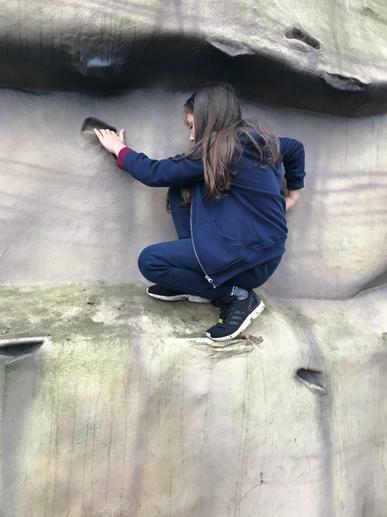 Year 5 have eaten a good breakfast and are tackling the boulder climbing activity. 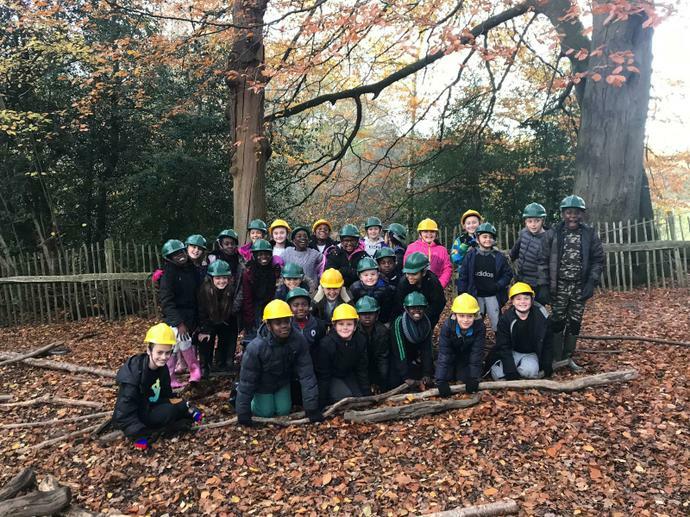 By the look of the photographs they have all been very brave and are working hard. 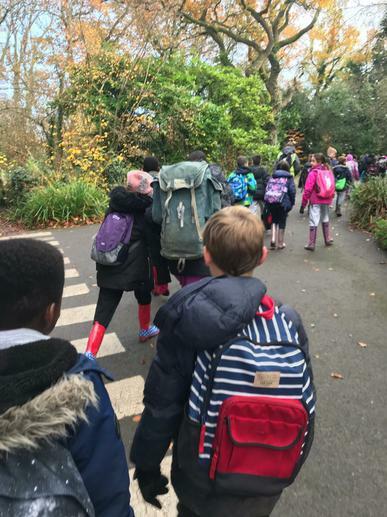 Not long now and they will be on their journey home. 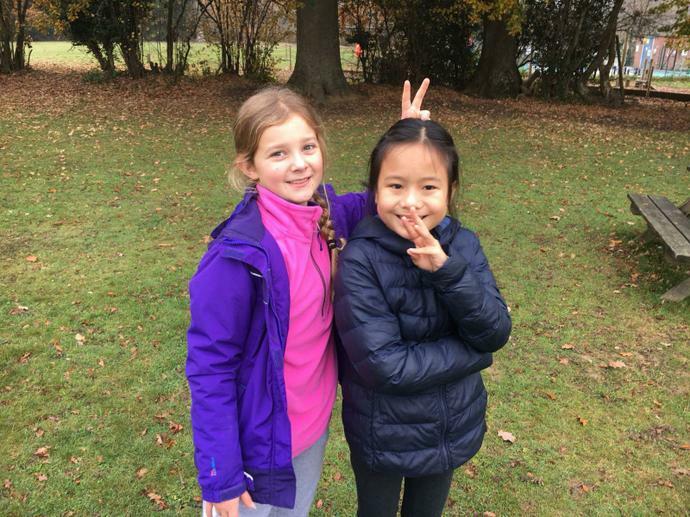 Another full day of activities have finished for the class. 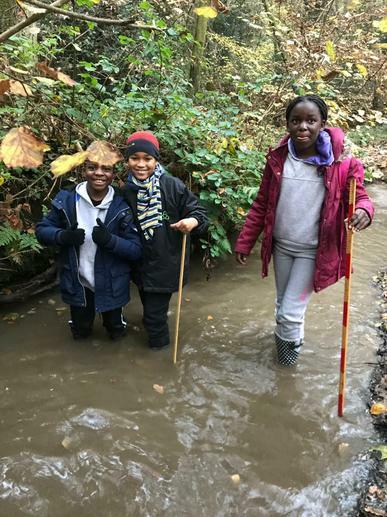 They all look like they are having a wonderful time as you can see by the smiles on their faces (even when knee deep in water)!! 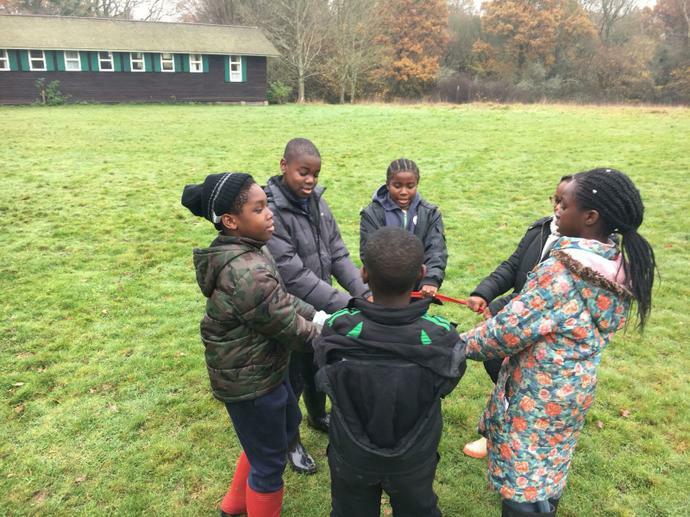 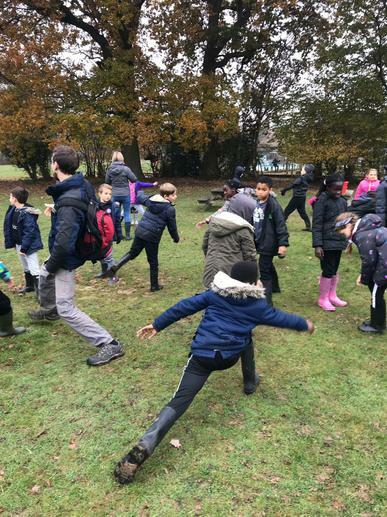 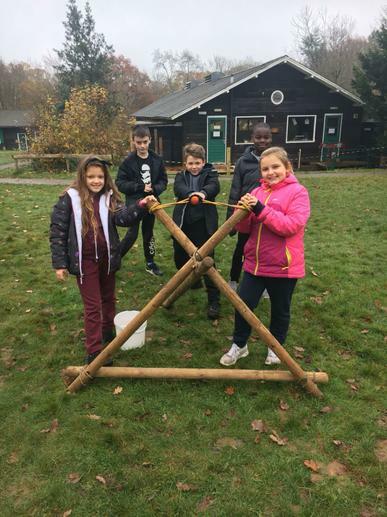 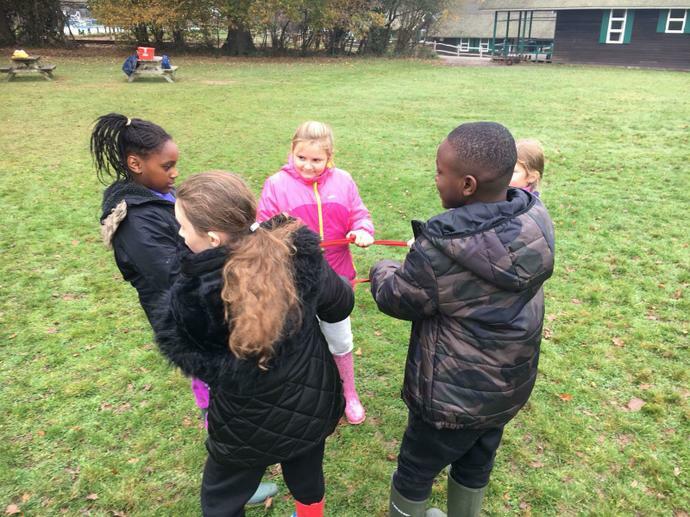 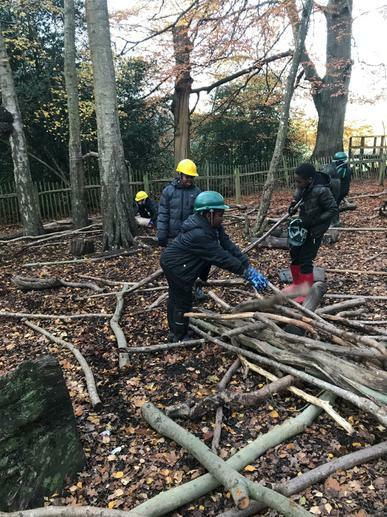 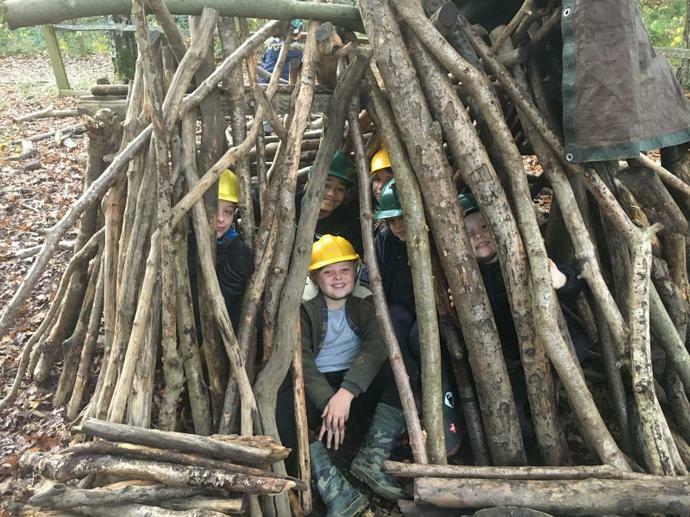 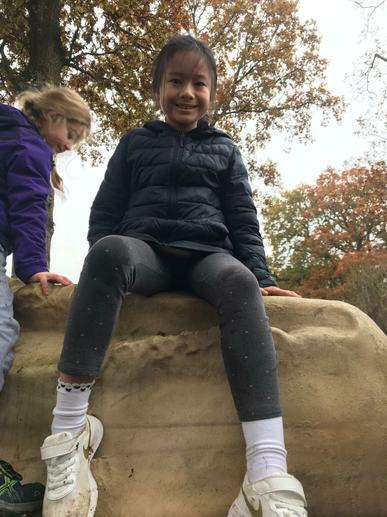 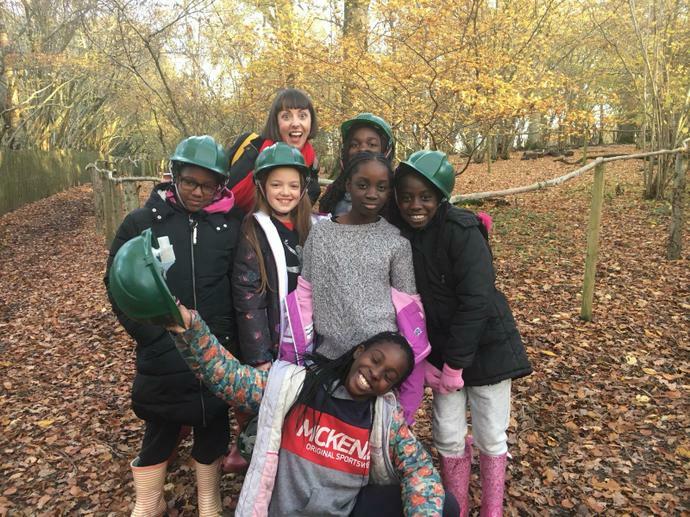 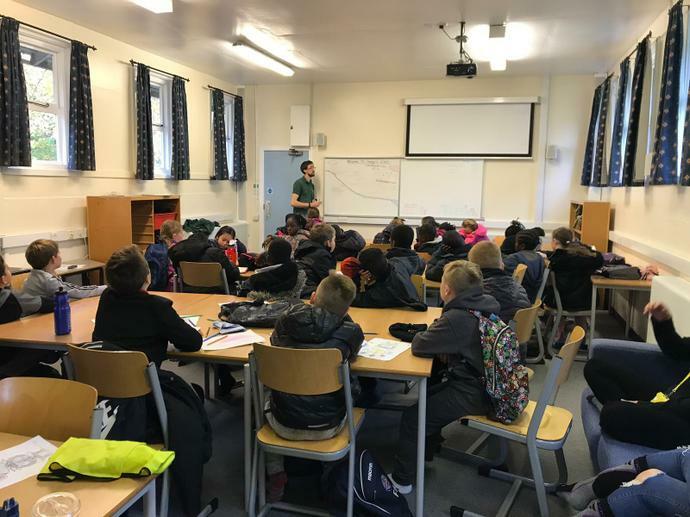 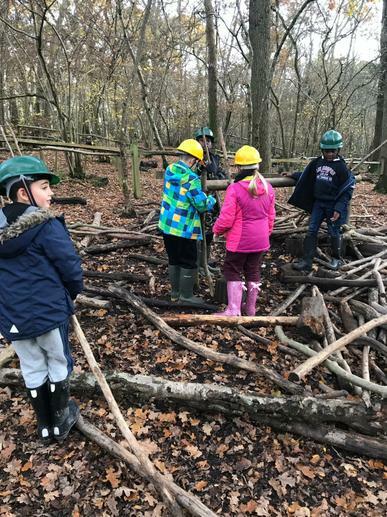 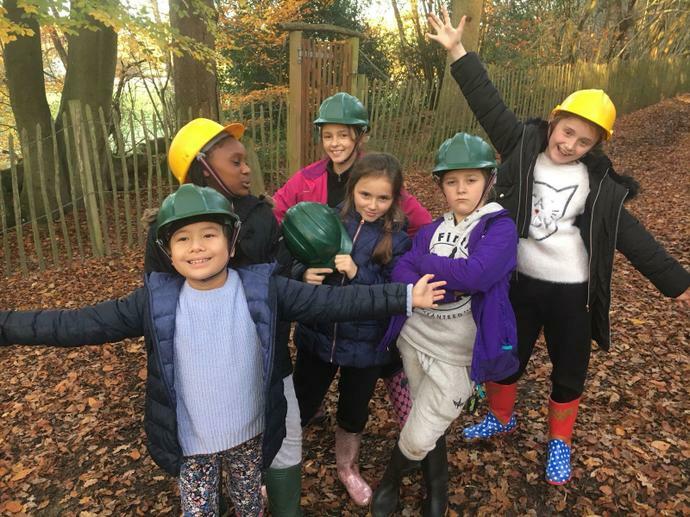 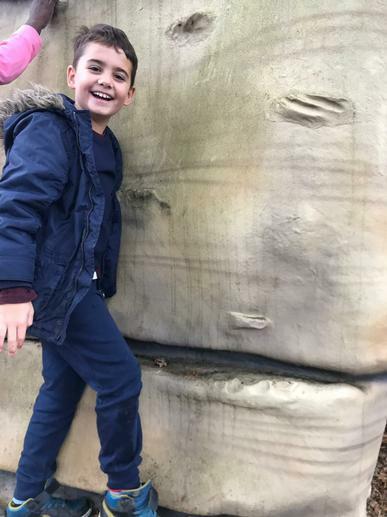 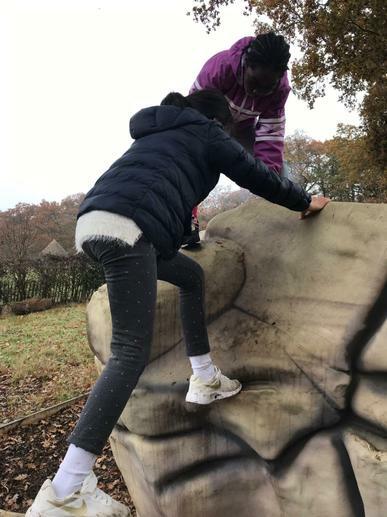 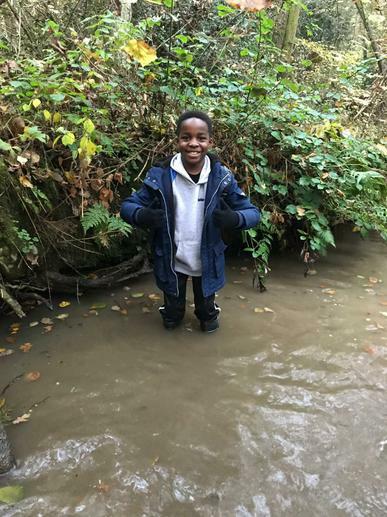 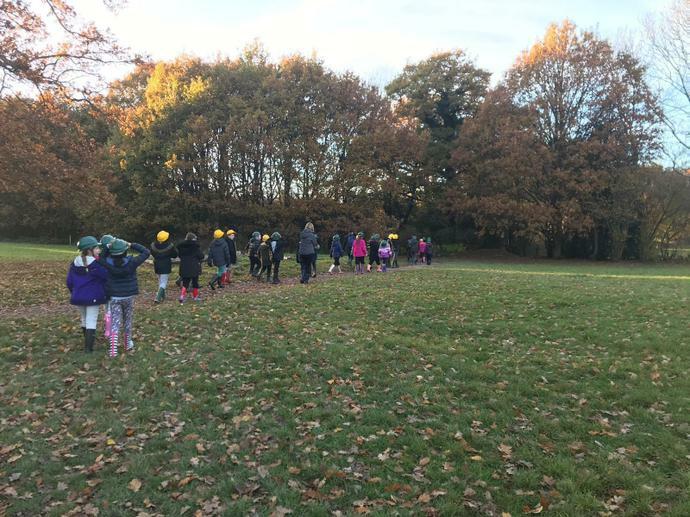 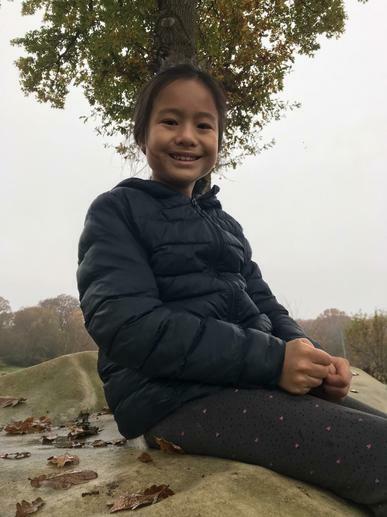 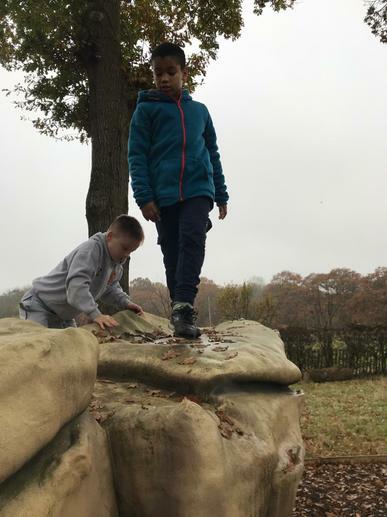 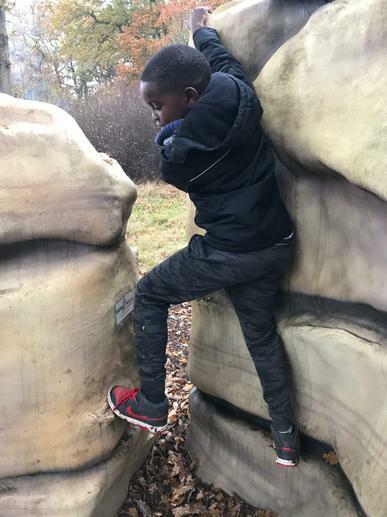 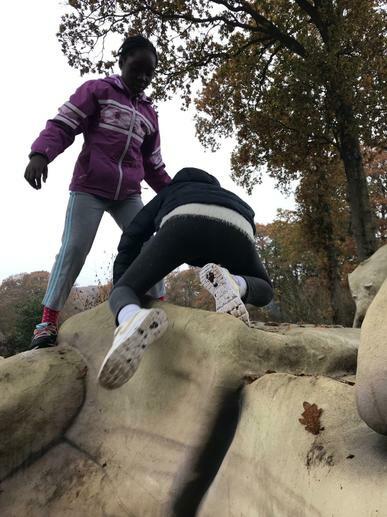 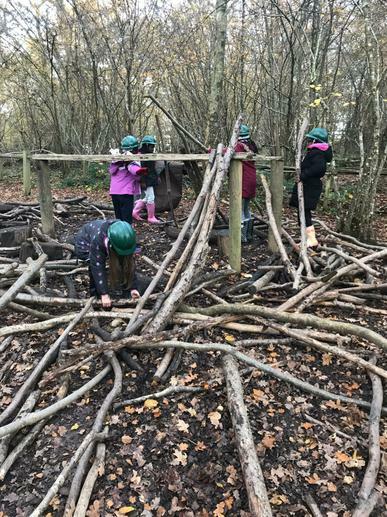 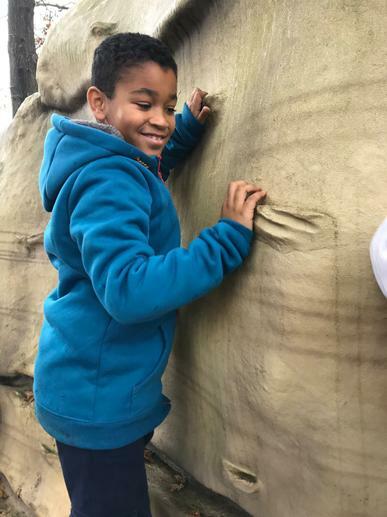 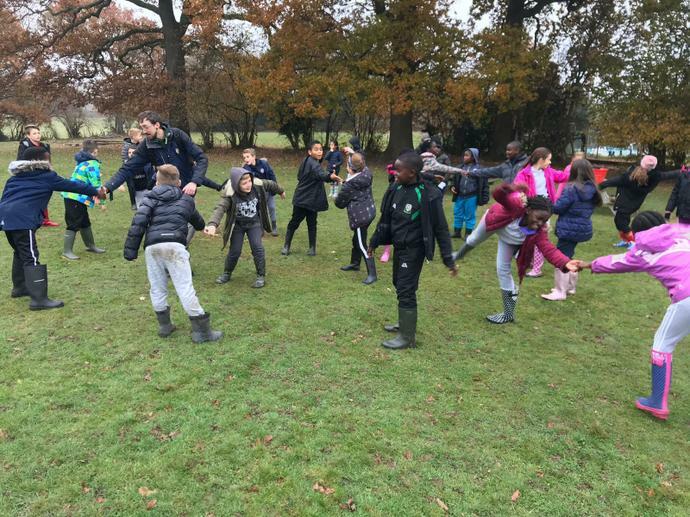 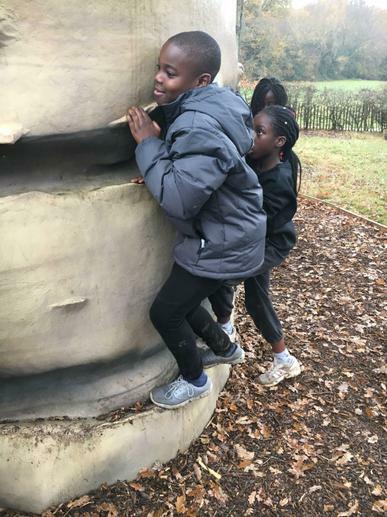 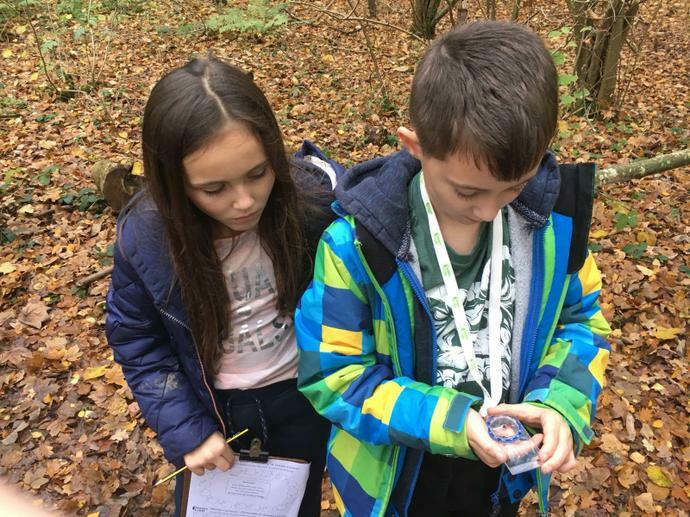 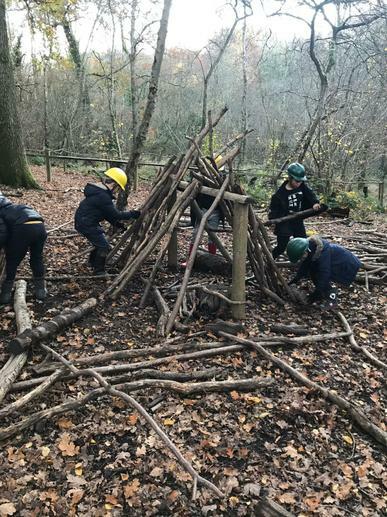 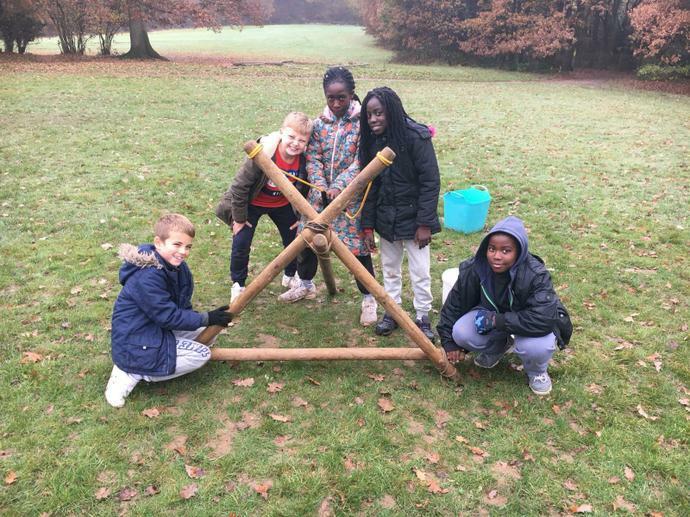 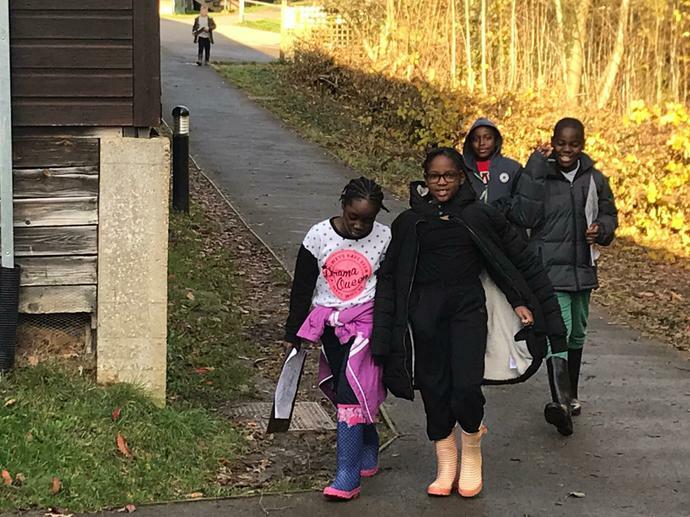 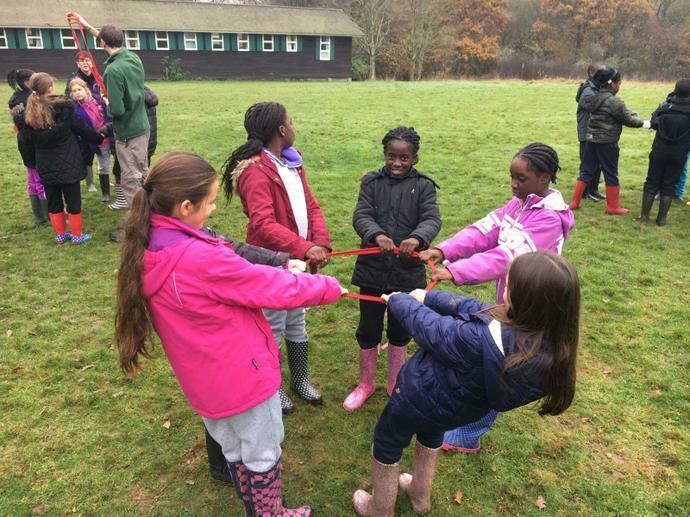 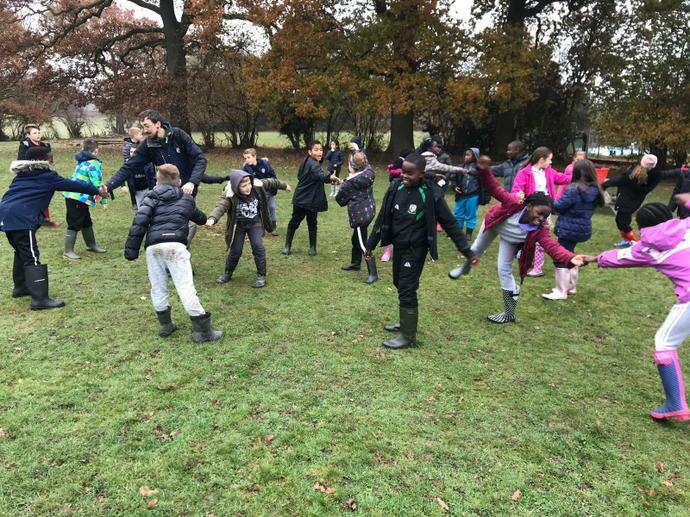 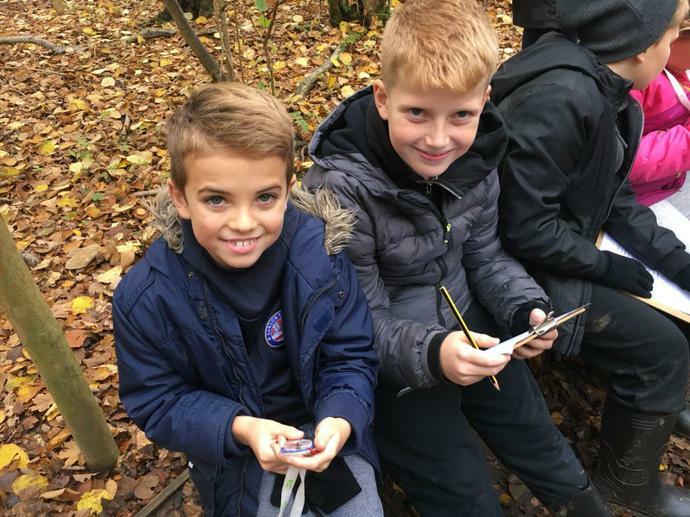 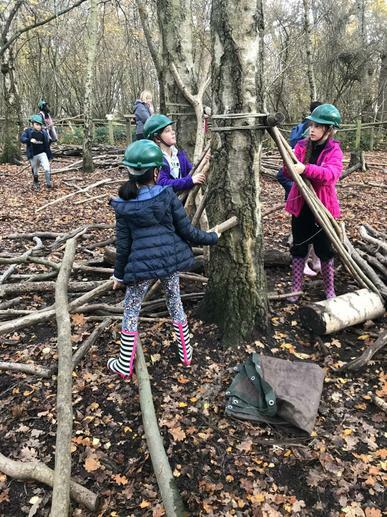 The class have enjoyed team building games and woodland compass (see photos) and after a hot lunch are now at Cobbler's Brook where they are carrying out a river study. 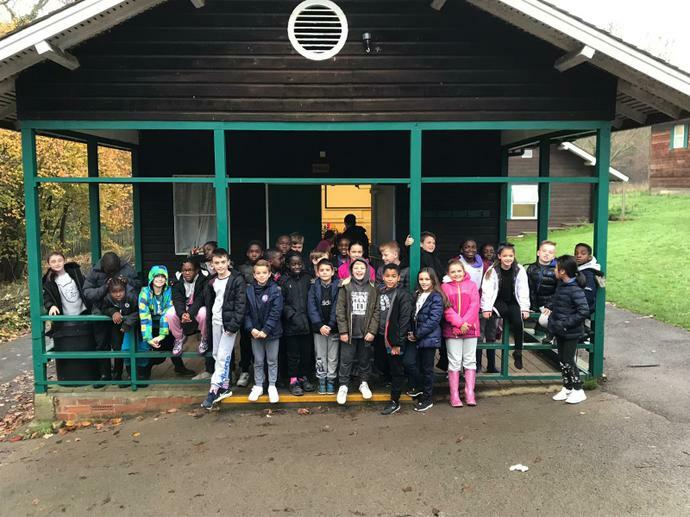 After a good nights sleep and an early morning wake up, the children are now ready for a full day of activities. 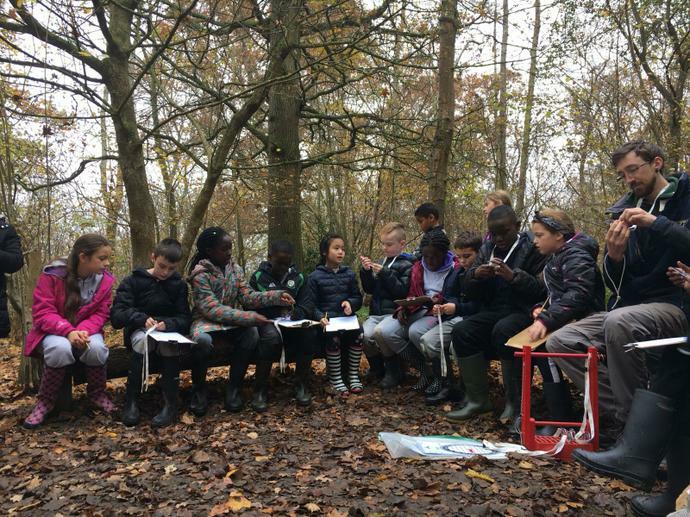 Last night the class were taken on a night walk and today they are in the woods learning how to use a compass. 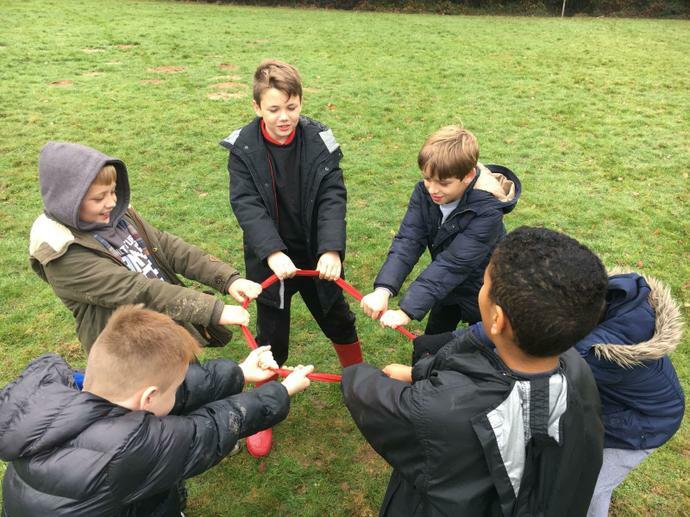 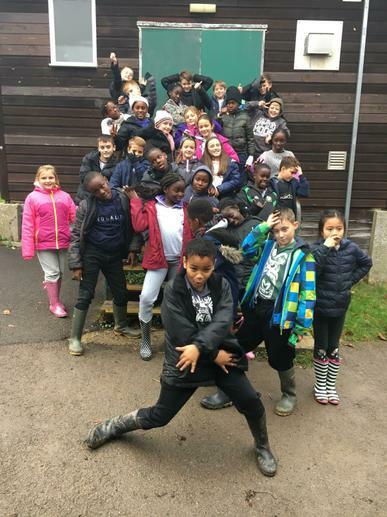 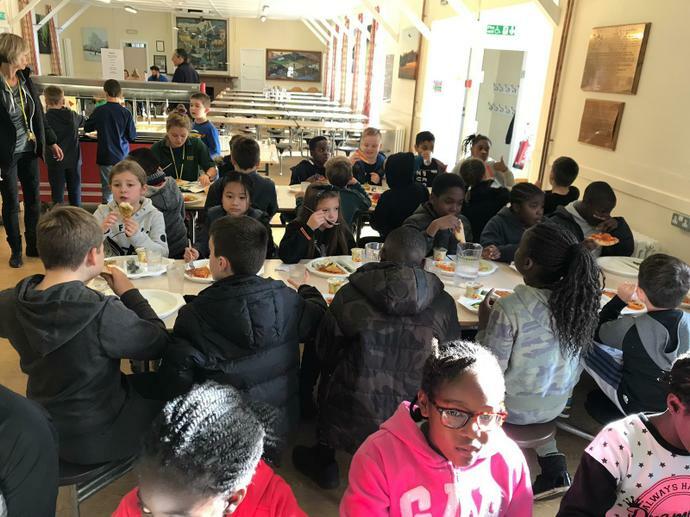 Year 5 have arrived at Sayers Croft and are having a great day of team building activities. 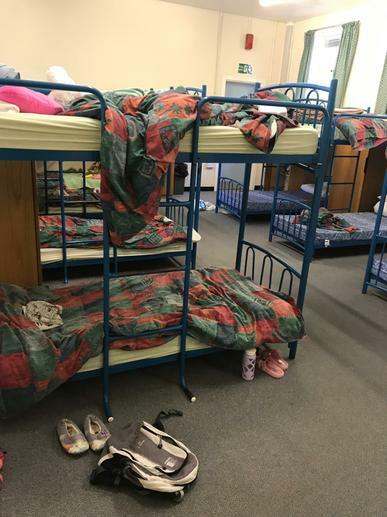 They have unpacked and are settled in their rooms (although haven't spend much time in there yet). 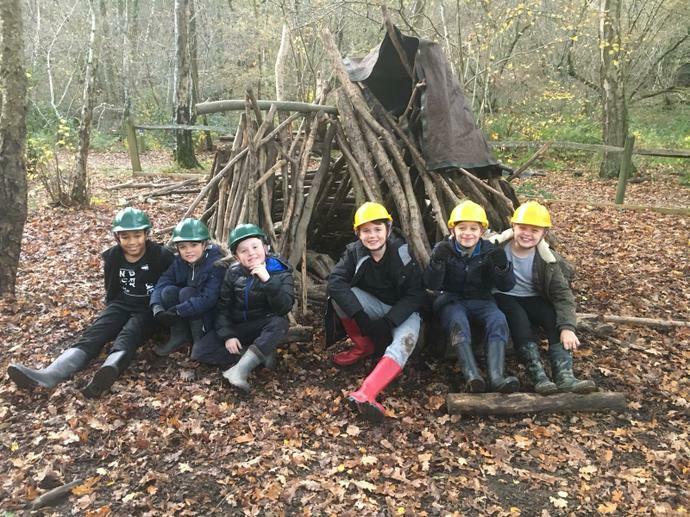 We are sure they will sleep well tonight.